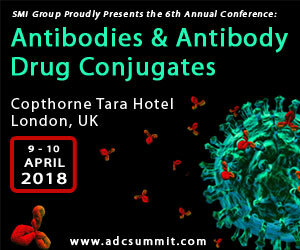 The 6th Antibodies & Antibody Drug Conjugates conference will take place in just under 2 weeks! Visit the download centre online and check out this year’s list of attendees and exclusive interviews from our industry leading speakers. This has become the antibody-drug conjugate (ADC) maker’s first in-house production facility after it shelled out $17.8m to buy the site from Bristol-Myers Squibb (BMS). Zymeworks said the Azymetric and Effector Function Enhancement and Control Technology (Effect) platforms’ bispecific antibodies retain the desirable features of typical monoclonal antibodies, citing long serum half-life, the ability to mediate effector functions, and low immunogenicity risk.